BONTOC, Mountain Province – The provincial government recently ceded to the Technical Education and Skills Development Authority (TESDA) a more or less 700-square meter land within its property located at sitio Bilibid, barangay Caluttit here, purposely for the construction of a structure that will serve as the agency’s provincial office and training center among others for the next two and a half decades. The deed of usufruct was signed between Gov. Bonifacio C. Lacwasan, Jr. representing the provincial government and TESDA-CAR regional director Manuel Wong who represented TESDA Director-General Isidro La Peña who was not able to make it to the signing ceremonies after he was called to report to the Office of the President while on his way to the province last Saturday. La Peña was supposed to serve as the guest of honor and speaker during the program that was prepared after the conduct of the traditional grand street chanting and streetdancing parade that was part of the celebration of the 15th Lang-ay festival and the 52nd founding anniversary of the province last week. 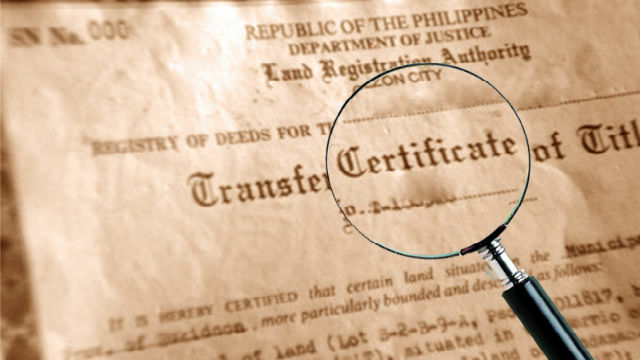 Lacwasan pointed out that the ceding of a portion of the property of the provincial government to the TESDA is part of the province’s overall program to help in ensuring the availability of important government services right in the heart of the province so that people will from the different parts of the province will have easier access to such services. Aside from serving as the TESDA provincial office, the structure that will be reacted in the property will serve as the TESDA provincial training center to ensure the availability of sufficient skills training that are preferred by the interested people of the province, dormitory among other amenities necessary in cascading to the grassroots level the different programs, projects and interventions of the agency. TESDA-CAR officials expressed their gratitude to the provincial government for a ceding a portion of its property that will be used for the put up of its multipurpose center that will contribute in the overall efforts of the government to make its presence felt in the grassroots level. Lacwasan said that the services being provided by TESDA are equally important in equipping the interested individuals in acquiring the necessary skills that will help them to become resilient and will be able to contribute in improving the living condition of their families once they will be able to practice the skills that they have acquired by availing of the trainings being provided by the agency under its various training and scholarship programs. He expressed confidence that the TESDA will be able to proceed with the construction of its programmed building in the ceded property so that the agency will be able to start delivering to the people of the province its key services under its different programs and projects so that those who want to avail of such services can already start doing so without having to travel to the regional training center in Baguio City just to be able to avail of existing skills trainings. La Peña was supposed to be adopted as a son of Mountain Province if he was able to personally attend the program where the adoption rites should have been conducted although the same will be done in a later date that will be scheduled for the purpose.